Can you make an eye doctor appointment online? Yes, you can if you are making an appointment with Dr. Barry Leonard, the eye doctor known as the best Optometrist in the valley. At the top of every page of this website you will find a big button that says “Make An Appointment”. Click that button, fill out a little bit of info, and you’re done. Your request will get to our office right away, and we’ll reply and confirm as soon as we can. Our friendly scheduling team will work with you to find a time that’s convenient. 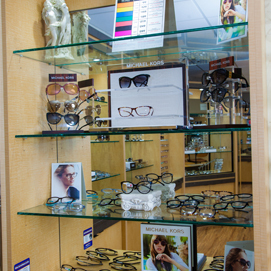 Our goal is to make eye care more accessible to patients in the San Fernando Valley. You lead a busy life. So, sometimes, eye care gets put on the back-burner. Dr. Leonard’s friendly team, conveniently located just off the 405 in Panaorama City, is here to help. From a routine eye exam to more specialized care (astigmitism treatment, Keratoconus treatment, lasik vision correction, and more), Dr. Leonard’s hometown optometry team has served the San Fernando Valley for more than 50 years. 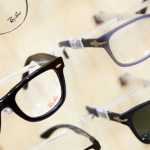 After visiting his SFV optometry office, it becomes clear that friendly, competent vision care is the cornerstone of Dr. Leonard’s practice. You’ll find walls full of patient testimonials, thank you cards and holiday greetings. For patients of all ages, Dr. Leonard has become a key member of their healthcare team. For something as important as your vision, don’t you want the best? Click, call or stop on by. If you have a quick question, but don’t have time to chat with us, feel free to check out the rest of our websites. You’ll discover a ton of helpful articles, videos and Q&A’s designed to help San Fernando Valley residents get the information they need to see clearly. See more clearly and be seen in a great light with a new set of prescription glasses. 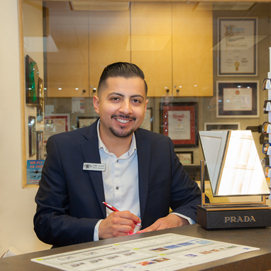 Gianny is Dr. Leonard's office manager and his first priority is delivering an amazing customer experience.